Please provide the details of your rig to include what is plugged ino any of the PCIe or PCI slots and what the IRQ's are as assigned by windows as well as the exact mfg/model number of your Sky TV card and any link to the manual for it. 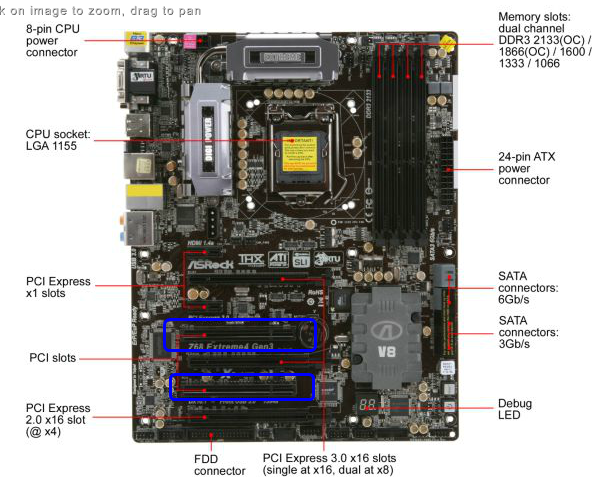 Without that information anything else is pure guesswork since most TV cards have specific interrupts and might require changing the IRQ's of whatever else might be in any of your PCIe or PCI slots on the board...or will simply not work without a custom UEFI/BIOS from ASRock. We need to know if your TV card uses the older style PCI slot or the newer PCI-E slot. What does it say in the user manual or installation instructions? Your card must be installed in the correct slot type. If your card is a PCI-E card, try installing your TV card in the PCIE5 slot (x4 mode). 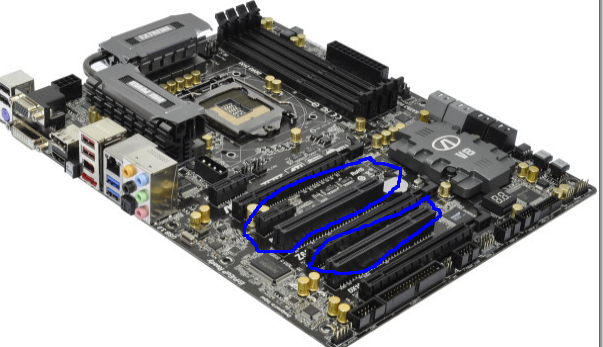 OK, but the arrow in the mobo picture in post #1 is pointing to the PCI-E #4 slot!! Make sure that the card is installed properly in one of the PCI slots directly above or below the PCI-E4 slot. Make sure that you have unplugged the psu power cable from the wall outlet before installing or removing the card. Last edited by rebinho; 03-03-2012 at 07:13 PM. When you say small aperture, you mean the card doesn't fit in the PCI slot? Or other installed cards don't allow enough room? Last edited by rebinho; 03-03-2012 at 08:10 PM. See if one of the first three links has instructions that deal with IRQ settings.